In an action stemming from a warehouseman’s asbestos exposure and resulting development of mesothelioma, the record did not establish as a matter of law that an asbestos supplier had discharged its duty to warn by reasonably relying on a sophisticated intermediary, the California Supreme Court held, affirming the California Court of Appea’s decision that had reversed a trial court’s grant of judgment notwithstanding the verdict (JNOV) to the supplier. The state high court found that the supplier failed to provide proof that the manufacturer of an asbestos cement pipe, the dust to which the plaintiff alleged he was exposed, knew about the acute risks posed by the particular type of asbestos that caused the warehouseman’s illness. Further, the supplier did not establish that it actually and reasonably relied on the manufacturer to warn end users like the warehouseman about the dangers of asbestos (Webb v. Special Electric Co., Inc., May 23, 2016, Corrigan, C.). Between 1969 and 1979, the warehouseman/truck driver (worker), as part of his job, handled an asbestos cement pipe known as Transite pipe, manufactured by Johns-Manville. The pipe left a dusty residue when handled although it had no warning label. The worker was not told that Transite pipe dust could cause cancer, nor was he advised to wear a respirator. In January 2011, he was diagnosed with mesothelioma. He (and his wife) filed suit against a number of defendants, including a raw asbestos supplier, Special Electric Company, Inc. The claims included failing to warn him about the danger of asbestos exposure, under strict liability and negligence theories. In the 1970s, Special Electric brokered the sale of crocidolite asbestos—the most toxic form of asbestos—to Johns-Manville, the oldest and largest manufacturer of asbestos-containing products in the United States. The worker’s epidemiologist knew of no company in the United States more knowledgeable about asbestos than Johns-Manville. The manufacturer was aware of health hazards associated with asbestos exposure as early as the 1930s and by the 1950s, it had instituted precautions for safe handling in its facilities. The supplier arranged for the crocidolite to be shipped directly from a South African mining company to Johns-Manville plants. It received a commission for the brokered sales but never took possession of the asbestos. Johns-Manville sold Transite pipe through various distributors, one of which sold the pipe to the worker’s employer. Johns-Manville required that the asbestos be shipped in bags with an OSHA warning label (“Caution, contains asbestos fibers. Avoid creating dust. Breathing asbestos dust may cause serious bodily harm.”). However, a Johns-Manville plant supervisor recalled that the asbestos bags did not have the labels until the early 1980s. Verdict and appeal. The case went to trial against Special Electric and two other companies, and, at the close of the plaintiffs’ case, Special Electric moved for nonsuit on the failure to warn claims, arguing that it had no duty to warn a sophisticated purchaser like Johns-Manville about the health risks of asbestos. The trial court deferred ruling, and after both sides rested, Special Electric moved for a directed verdict on the strict liability claims. The court again deferred ruling. The jury subsequently returned a verdict finding Special Electric liable for failure to warn and negligence, and apportioned 49 percent of fault to Johns-Manville, 18 percent to Special Electric, and 33 percent to other entities. Before judgment was entered, Special Electric requested a ruling on its motions. The trial court found the supplier was not liable for failure to warn and granted the motions, construing them as seeking JNOV. A divided panel of the Court of Appeal found the JNOV ruling was impermissibly premature and lacked the required written notice. It also concluded JNOV was improper because substantial evidence demonstrated that Special Electric breached a duty to warn Johns-Manville and foreseeable downstream users like the worker about the risks of asbestos exposure (see Products Liability Law Daily, April 12, 2013 analysis). California Supreme Court. The state high court affirmed the appellate ruling, finding that because substantial evidence supported the jury’s verdict, and because the supplier did not have a complete defense as a matter of law, the entry of JNOV was unjustified. The court noted that the case involved a hazardous raw material incorporated in a finished product, and that the central issue was whether and to what extent the supplier could discharge its duty to warn by relying on others in the supply chain to convey warnings about the hazard. Sophisticated intermediary doctrine. The court formally adopted the sophisticated intermediary doctrine. Under the rule, a supplier can discharge its duty to warn end users about known or knowable risks in the use of its product if it: (1) provides adequate warnings to the product’s immediate purchaser, or sells to a sophisticated purchaser that it knows is aware or should be aware of the specific danger, and (2) reasonably relies on the purchaser to convey appropriate warnings to downstream users who will encounter the product. Because the sophisticated intermediary doctrine is an affirmative defense, the supplier has the burden of proving that it adequately warned the intermediary, or knew the intermediary was aware or should have been aware of the specific hazard, and reasonably relied on the intermediary to convey warnings. The court said that just as the sophisticated user defense applies to failure to warn claims sounding in either strict liability or negligence, so does the sophisticated intermediary defense. Sophistication. The court further explained that in some cases, a buyer’s sophistication can be a substitute for actual warnings, but only if the buyer is so knowledgeable about the material supplied that it knew or should have known about the particular danger. In such cases, sophistication obviates the need for warnings because a sophisticated purchaser already knows or reasonably should know of the relevant risks. However, such sophistication, standing alone, may not be sufficient to discharge the supplier’s duty to warn. 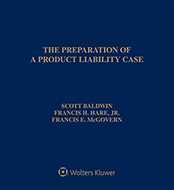 In addition to warnings or the sophistication of the purchaser, the court stated that it must have been reasonable for the supplier to rely on the purchaser to warn others who would foreseeably encounter the hazardous product. Moreover, questions of fact for a jury are raised for the establishment of actual and reasonable reliance on the intermediary to convey warnings to end users. Application. The court found that even though the supplier arguably forfeited the sophisticated intermediary defense by failing to present it to the jury and did not request a jury instruction on the sophisticated intermediary doctrine, the record did not establish as a matter of law that Special Electric discharged its duty to warn by reasonably relying on a sophisticated intermediary. The evidence was disputed as to whether the supplier consistently provided warnings to the pipe manufacturer during the relevant time frame. Special Electric argued that warnings were not required because Johns-Manville was “highly sophisticated” and knowledgeable about the health risks of asbestos. However, there was no evidence that the manufacturer knew about the particularly acute risks posed by the crocidolite asbestos provided by the supplier, although the record showed the manufacturer was generally aware of the risks of asbestos. Additionally, at least one of the supplier’s sales representatives told customers that crocidolite was safer than other types of asbestos fiber. A jury’s crediting this evidence could have found it unreasonable for the supplier to have believed Johns-Manville was so sophisticated that a warning about the particular dangers of crocidolite asbestos was not called for. Furthermore, the evidence did not establish as a matter of law that the supplier actually and reasonably relied on Johns-Manville to warn end users like the worker about the dangers of asbestos. Actual reliance is an inference the factfinder should be able to draw from circumstantial evidence about the parties’ dealings, the court said. The trial record contained no evidence of such an inference. The case is No. S209927. Attorneys: Ted W. Pelletier (Law Office of Ted W. Pelletier) for William B. Webb. Edward Roger Hugo (Hugo Parker, LLP) and Jason Roger Litt (Horvitz Levy LLP) for Special Electric Co., Inc.
Companies: Special Electric Co., Inc.